Finnkino’s new movie theater complex in Oulu, Finland, is a modern and multi-functional leisure time center. A hotel with conference areas will also be opened in the center. Construction work started in the summer of 2005 and the doors opened in November 2006. 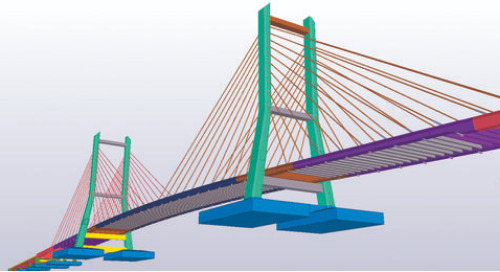 In addition to structural design, the three-dimensional structural model created with the Tekla Structures modeling software has been used in the project management. 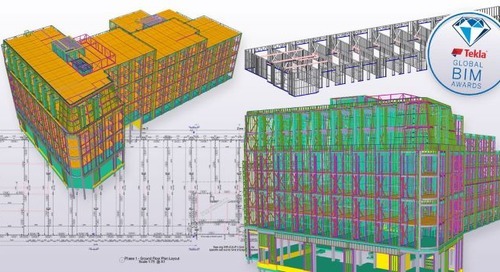 In the future, the modeling of structural data can be used more frequently and extensively in the implementation and management of construction projects, for example in the scheduling of installation work, erection of the frame, building technology and even in the maintenance of the property. There are many possibilities to benefit from, and there is a belief in the industry that modeling will become general practice over the next few years. A starting shot for building modern and high-quality entertainment and hotel centers Finnkino believes that the Oulu cinema center is a starting shot for the construction of new movie theater centers in Finland. After Oulu, construction work will start in Lahti, and negotiations will be held about the next sites. The center built in Oulu’s Autotori square is Finnkino’s fifth multiplex movie theater in Finland. All the auditoriums in the new center are equipped with the best technology in the industry, and the seats are placed stepwise so that the view of the screen is equally good from all seats. Customers appreciate a modern and high-quality movie theater environment and versatile auxiliary services. The center will have eight screens, and a total of 1,200 seats. 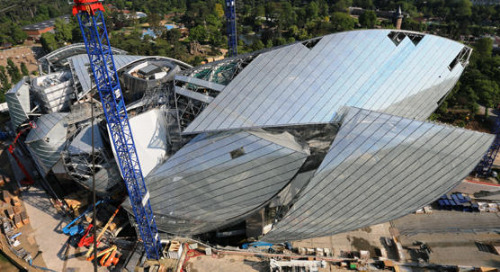 The largest movie theater will have 400 seats. A hotel will also be opened in the center. Finnkino Plaza will cooperate with the hotel e.g. with respect to the conference areas. The Oulu hotel and cinema center has an area of 22,000 square meters. It consists of two buildings of which the above-ground parts are mostly separated, and an underground parking lot with a capacity of 170 cars. The buildings have concrete frames. 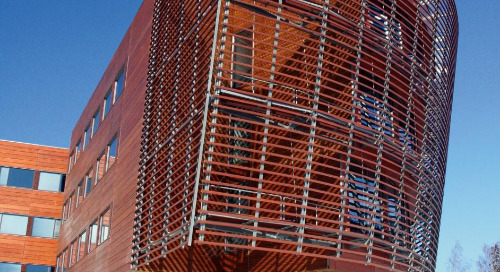 The façade materials of the center are glass and enameled metal elements; the masonry of the hotel’s façade is built on site. The project is a good example of cooperation between a construction firm and an engineering office, and of new building in between old city infrastructure. In addition, it is an example not only of the use of three-dimensional modeling in structural design, but 4D project management that is based on a 3D structural model. In this connection, 4D means that changes that occur in a three-dimensional space are followed continuously as timedependent variables, i.e. from the point of view of the timetable and progress of the project. 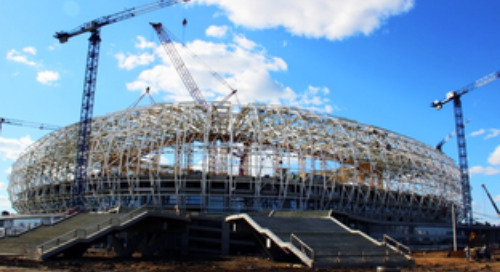 In this project, Palmberg, the contractor, used Tekla Structures Project Management licenses and WSP Finland, which participated in the structural design, used Full Detailing licenses. The joint structural model was placed on an FTP server where it was updated on the basis of reports. The timetable data related to manufacturing and erection needed by Palmberg, i.e. the “4D attributes”, were fed directly into the Tekla model, after which a report was run concerning the parts in question. A report was sent to WSP, where a designer used it to give the attributes to the objects. As the design work progressed, the model worked on by WSP was sent regularly to the FTP server, where Palmberg could access an up-to-date model for its own timetable processing. The Tekla model was also used during meetings of general superintendents. Juha Pekka Eskola, Project Development Manager at Palmberg-Rakennus Oy, thinks that an accurate 3D structural model was handy and useful from the point of view of planning the work: it could be shown to the participants of a meeting using a wide screen televisionprojector, and it was easy to request more details from the structural designer on the basis of a picture printed out from the screen. According to Ville Jaatinen, Project Engineer at WSP, Tekla’s model provided a good basic view of the parts of the structure in the project. The monitoring of the installation timetable, with its animations that Jaatinen says were a particularly successful part of the project, was done retroactively. 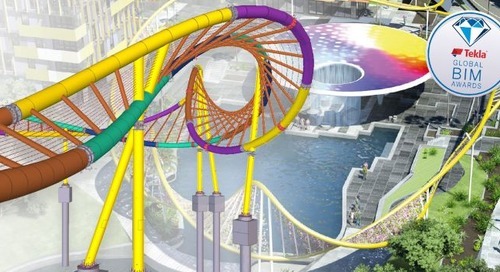 This was done because the design had been started using an AutoCAD program, and the input of 4D attributes in real time was not possible all the time due to the tight timetable. Other features of the Tekla Structures software that were particularly useful in the project included the Objects.inp specification data and attribute reports, which were used in the transfer of attribute data between the participants of the project. Jaatinen says that the same codes for the objects were used all the time in the 3D model. This was important to the contractors as the design work had been carried out using different methods in the past, and now the contractors wanted the same codes to be used in the new 3D/4D plans as in the drawings that had been published in the past. The introduction of 3D modeling was difficult because it was taken into use in the middle of the pilot project, Jaatinen says. Nevertheless, he is convinced that the model will be used more widely in the future because the benefits of the cooperation were undeniable and both parties in the project gained savings in costs and time. Element factories are also interested in using the structural model in the manufacture of structural parts. For future construction projects Jaatinen recommends that 3D modeling is used from the start of the project. 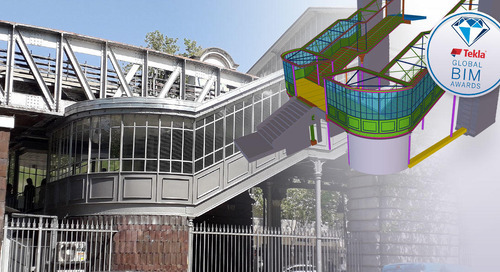 For the importation of references by the parties into the model to succeed and for the model to be visible in the right direction in Tekla Structures, the coordinates used must be the same. “It’s a good idea to model all the parts of the building (such as elevator shafts), and the modeling needs to be done correctly right from the beginning,” Jaatinen concludes. 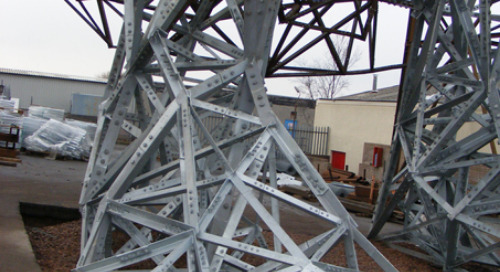 The structural model can be used in planning the timetable for the installation of the frame, to guide the installation work and manufacturing, and in planning logistics. 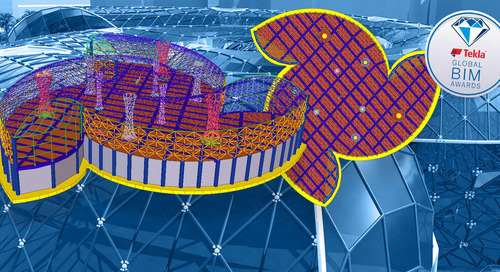 The Tekla Structures program creates a structural component-specific installation plan, from which both the manufacturers and designers of product parts can extract schedule information to guide their own production. After the building has been erected using a virtual model, all the project participants can see real-time schedule and implementation data directly in their own models. Thus, project management can monitor the status of installation work and manufacturing directly from the model. When a change occurs, the data can be updated automatically in all the relevant models e.g. via the Internet. The model can also be used on site for calculating quantities, reporting, and, of course, for visualizing plans. With the compound model, geometrically elaborate structures and details are much easier to perceive than using traditional 2D pictures.